Have 3 or more pets? Get a Family Plan! If you have 3 or more pets in your household that you'd like to protect, you can subscribe to our family plan for only $99 per year. 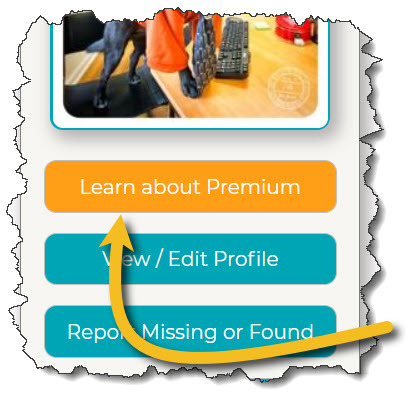 Every pet in your household is upgraded to a Premium subscription level at the click of a button. Have only 1 or 2 pets to protect? The basic service is free (and always will be) and works with all of our tags. 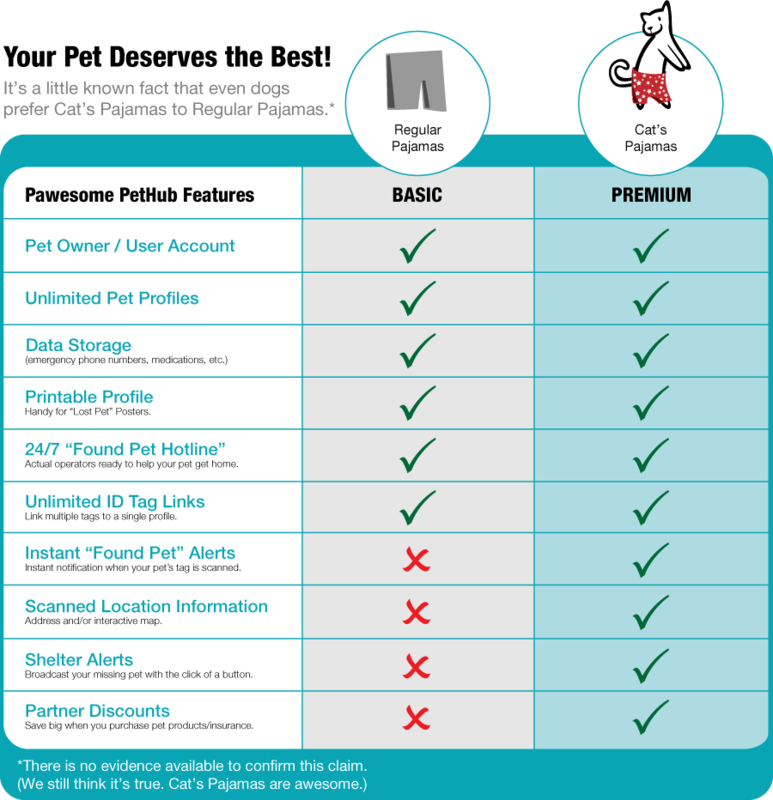 Or, you can upgrade your pet's account to Premium and get the additional benefits shown above. That's it! Welcome to the PetHub Pack!